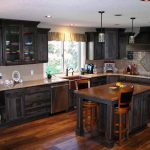 This was a large Kitchen Remodel job in Damascus Oregon. 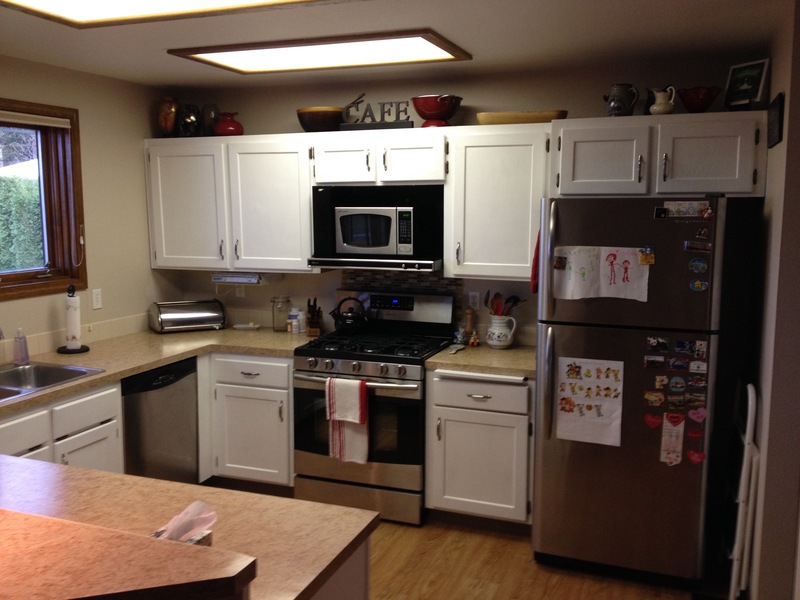 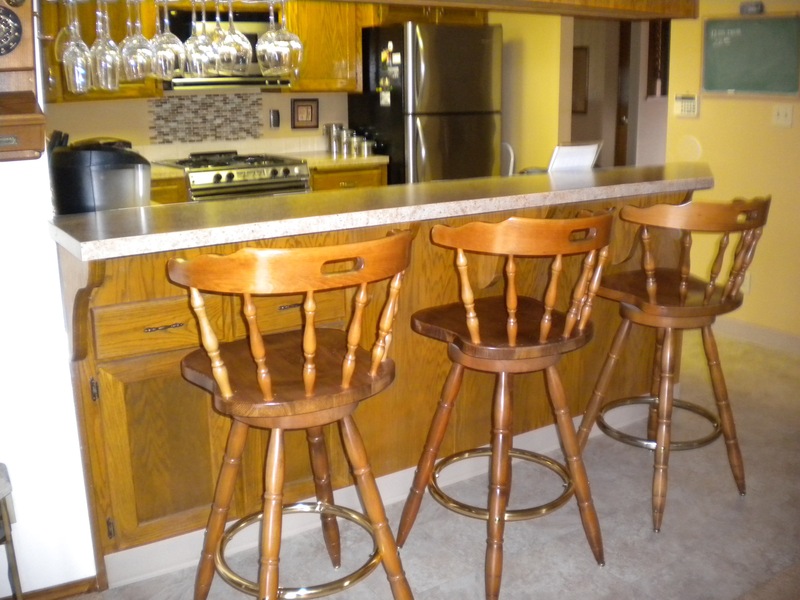 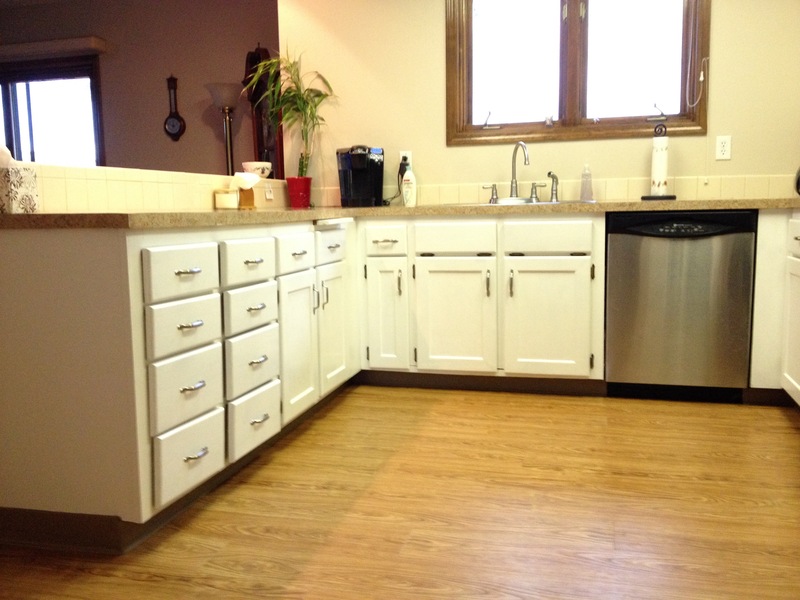 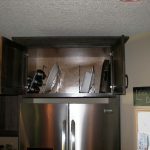 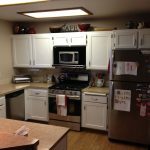 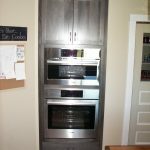 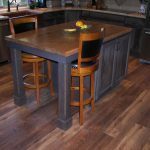 As you can see by the before pictures the changes in this kitchen were Amazing! 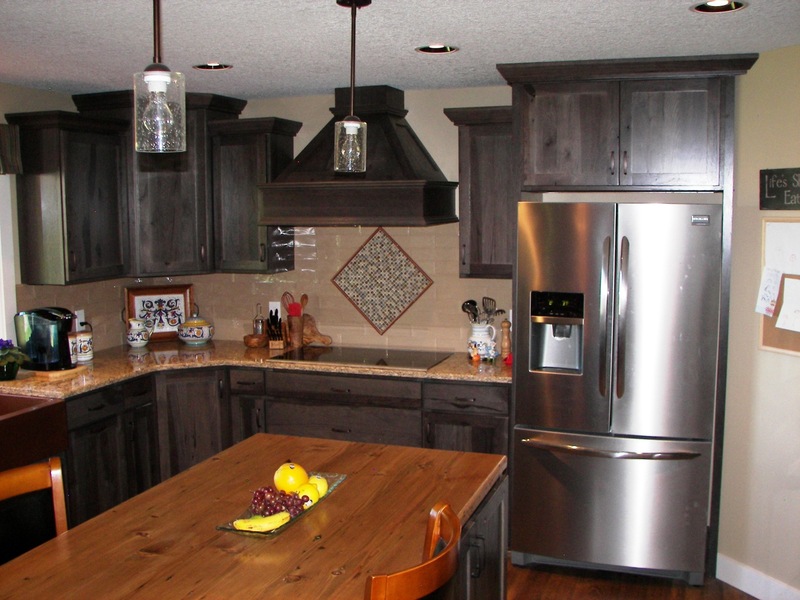 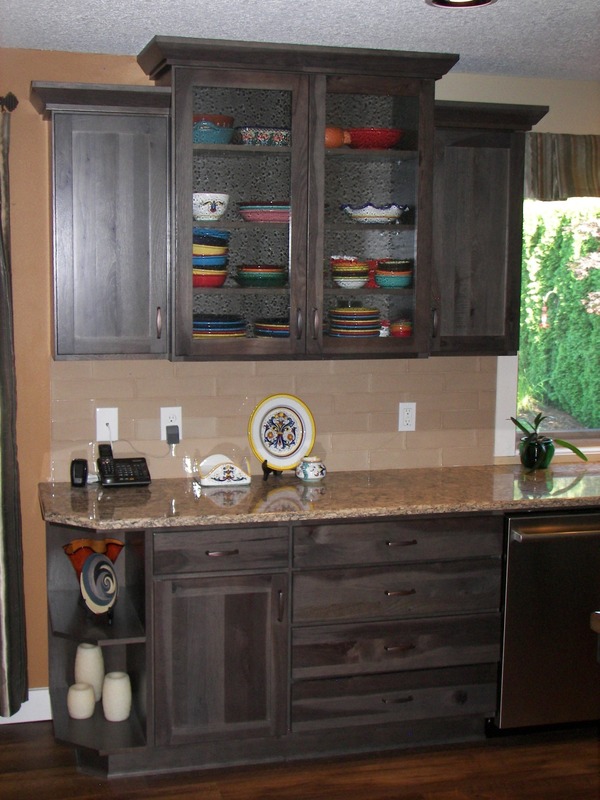 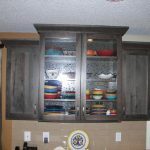 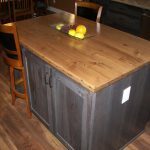 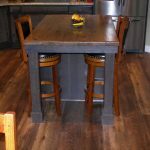 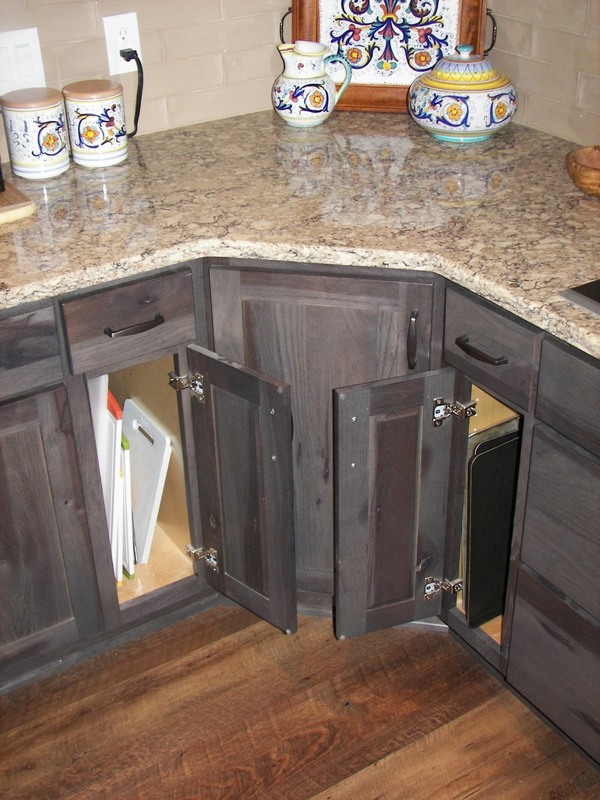 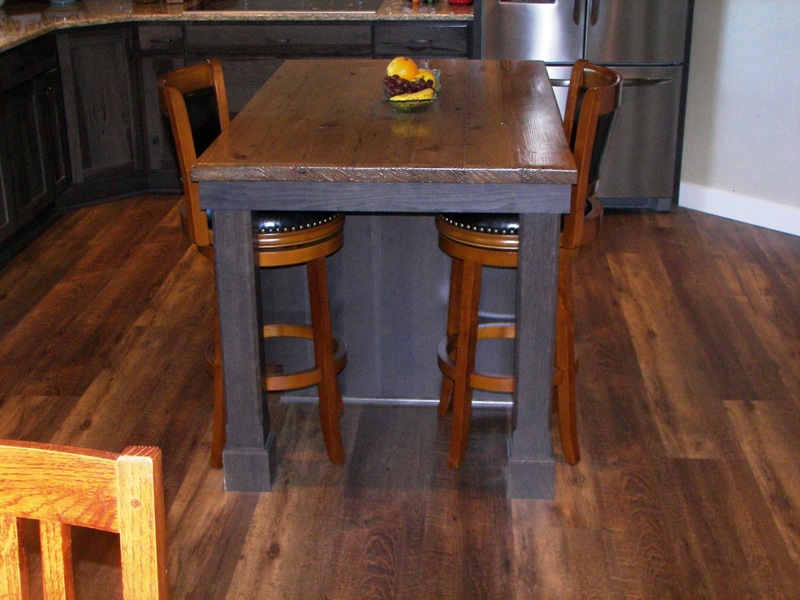 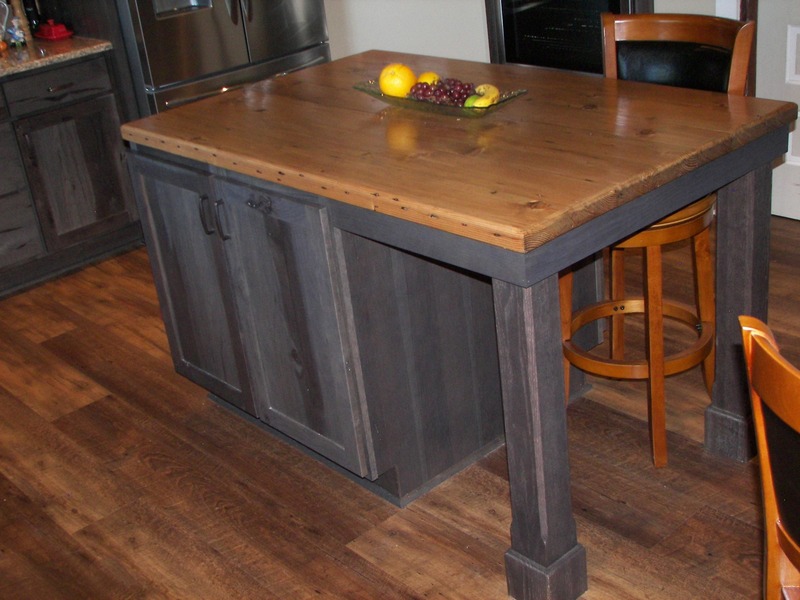 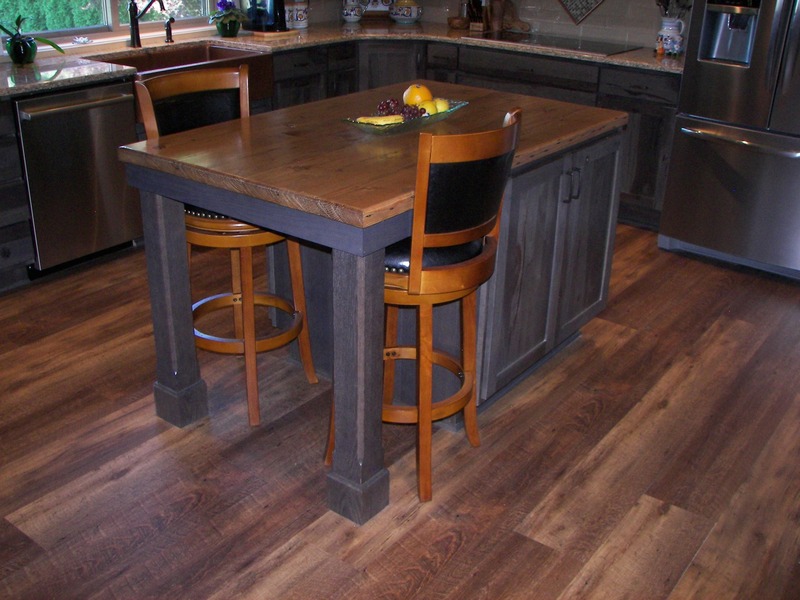 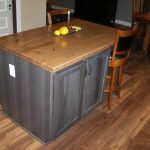 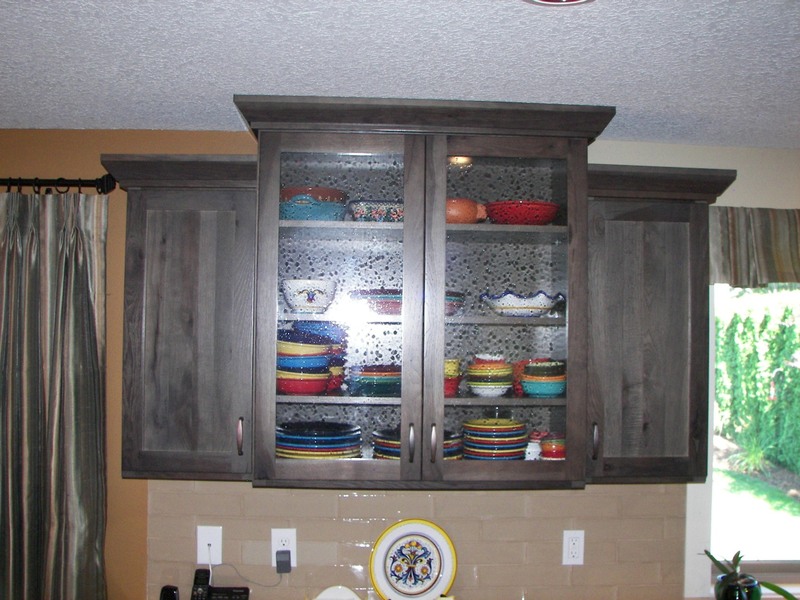 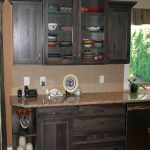 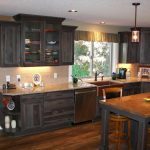 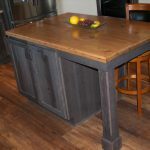 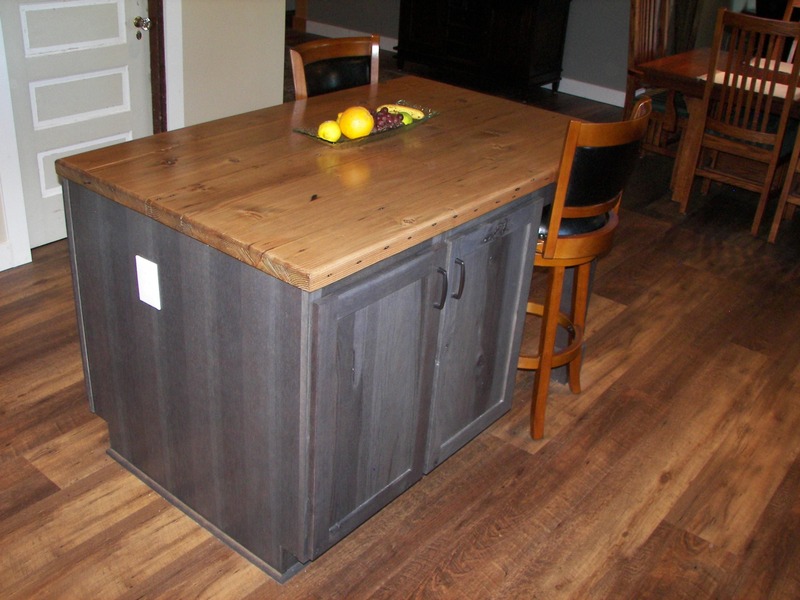 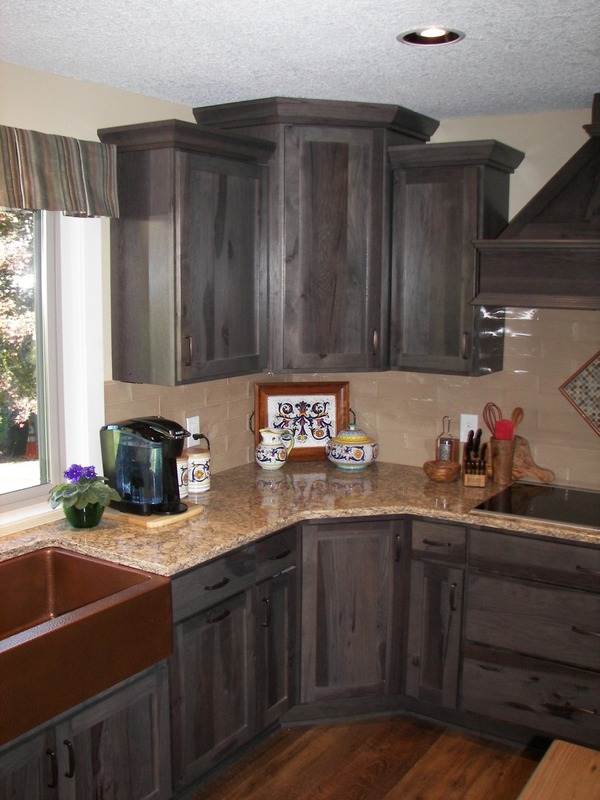 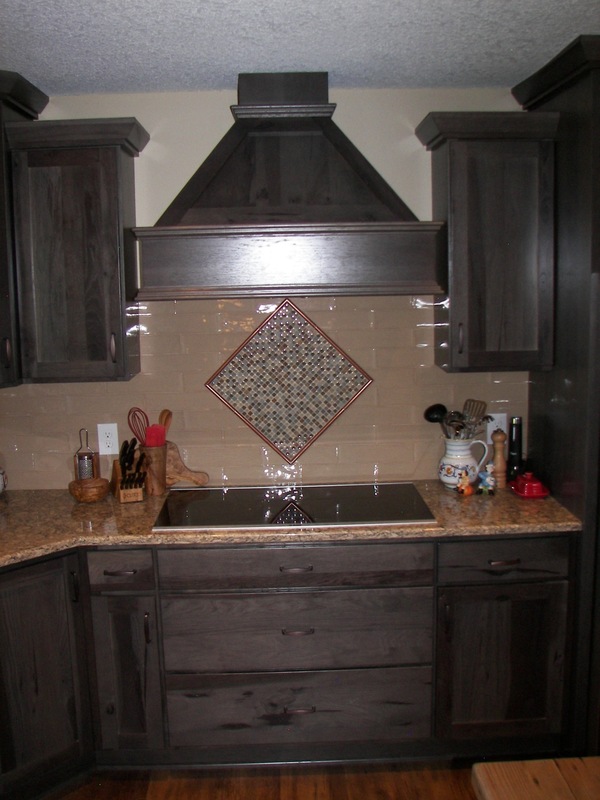 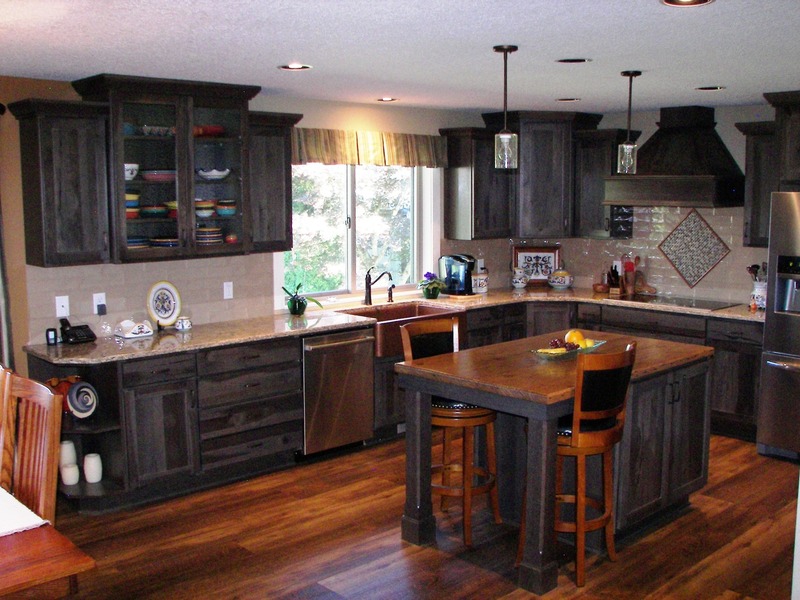 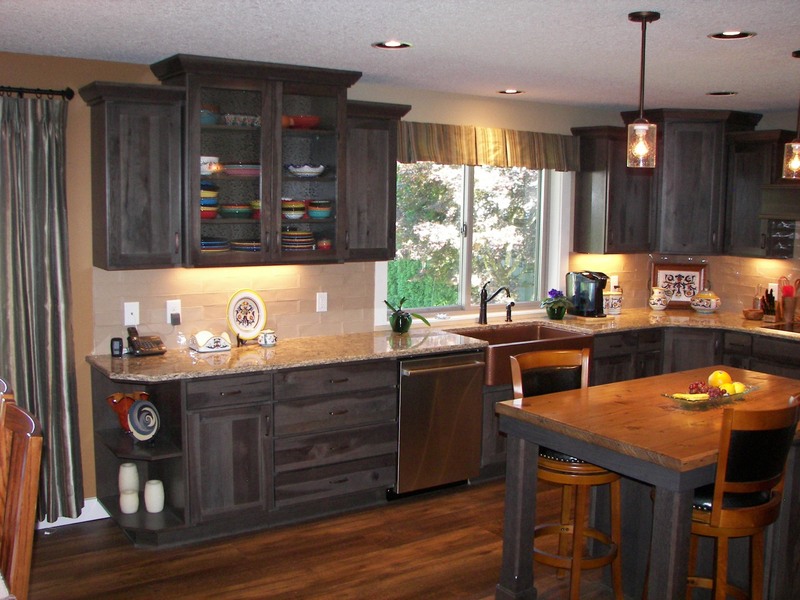 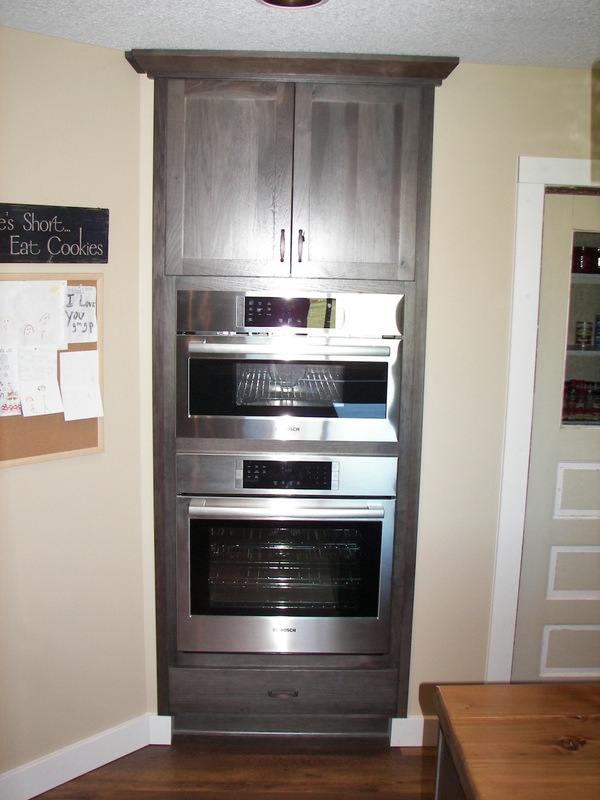 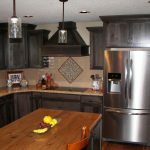 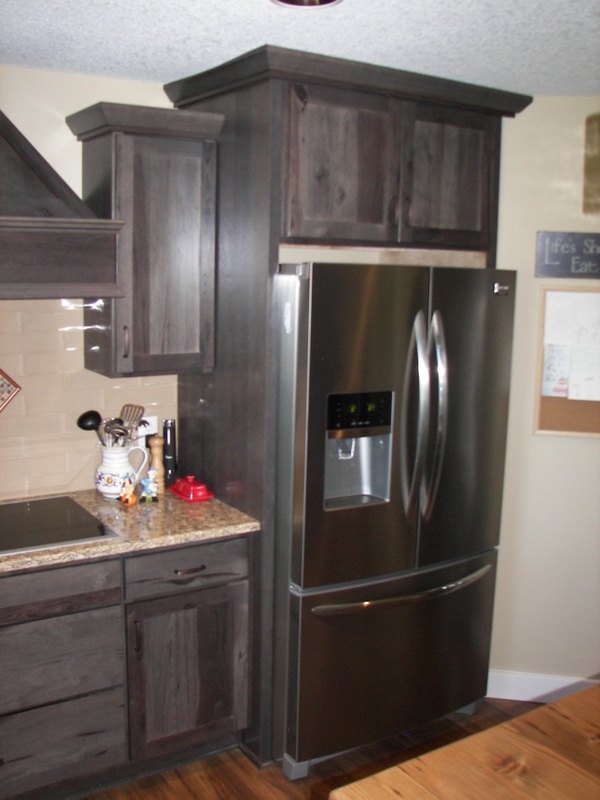 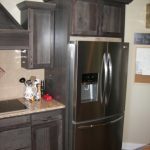 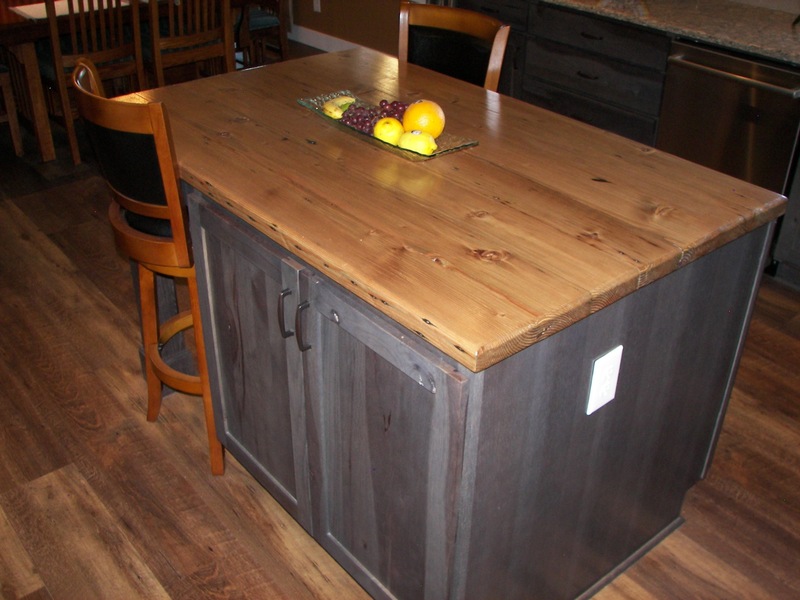 The cabinets are Rustic Hickory with a Graphite Stain. 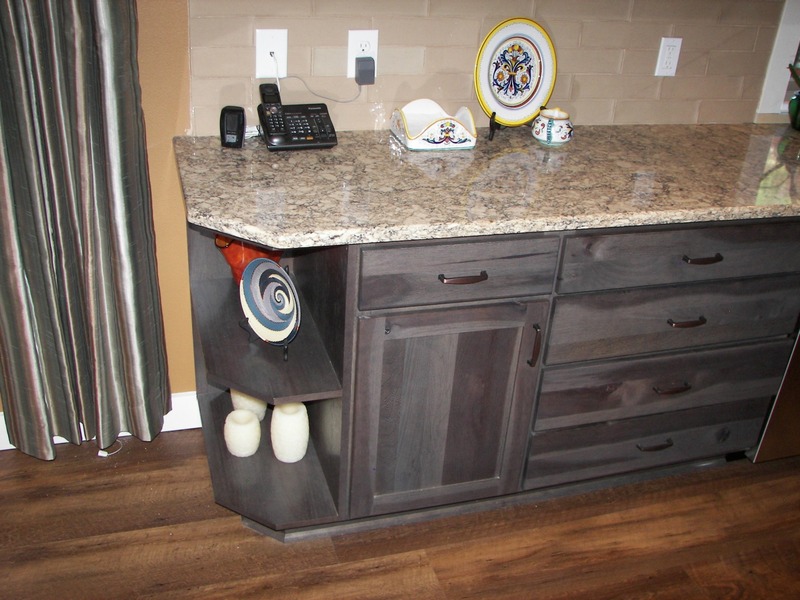 The counter top is Via Terra Quartz Symphony color with 3/8”” round edge. 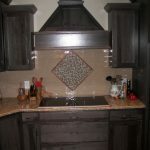 The tile back splash is a Subway tile with an interesting pattern behind the range. 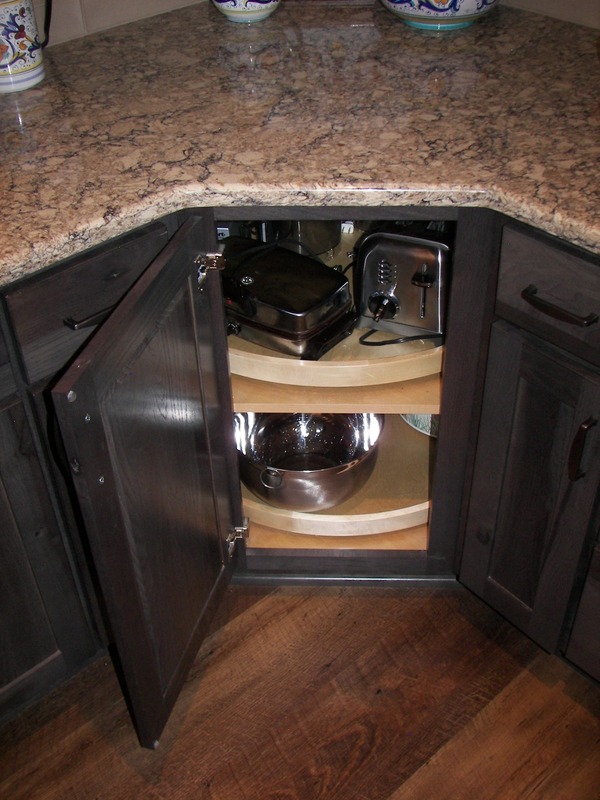 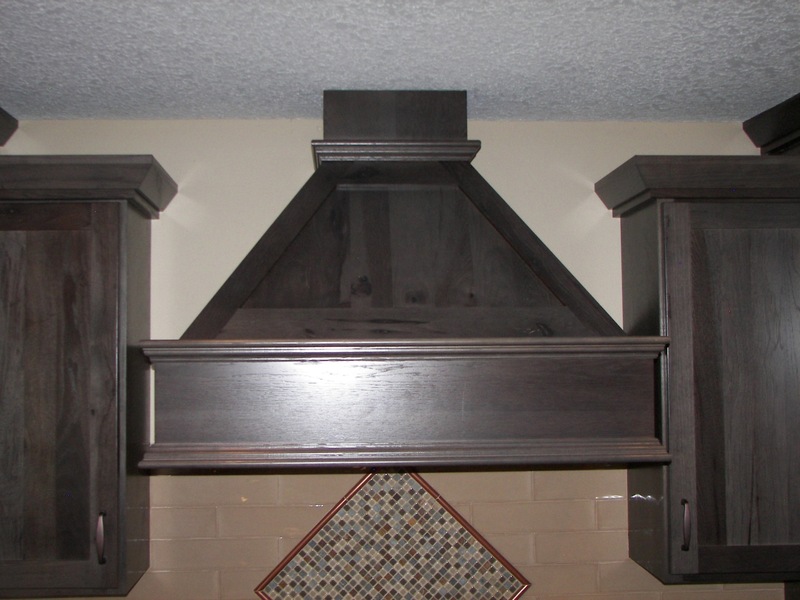 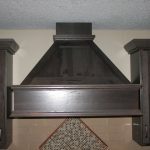 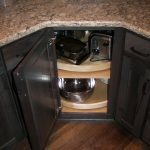 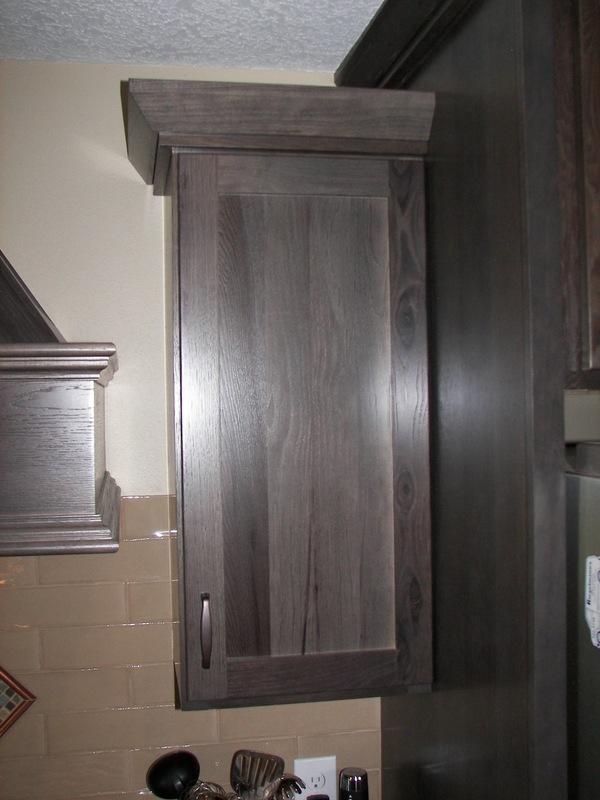 The hood is a “Wood Hood” built to match the cabinets. 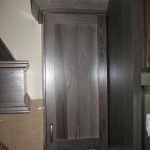 We staggered the cabinets with a 2 step crown molding. 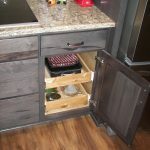 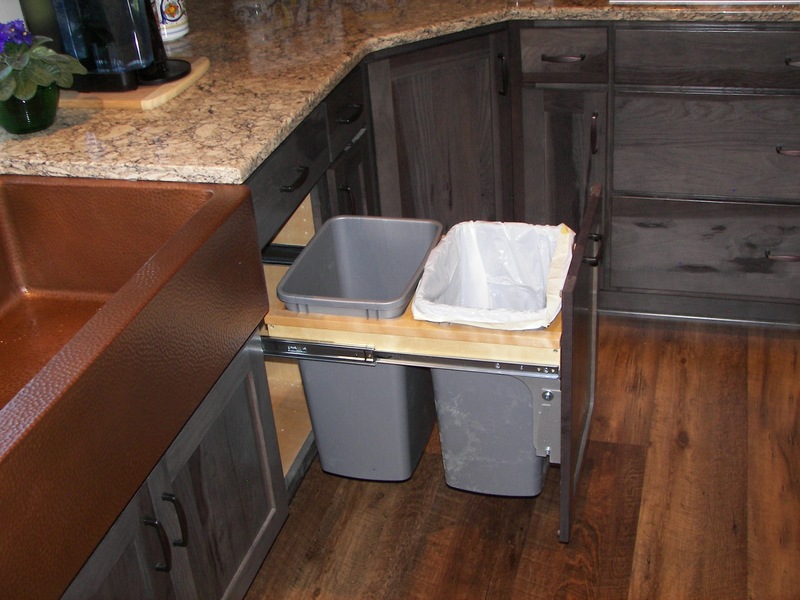 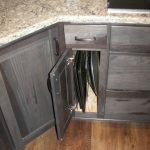 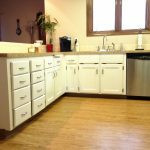 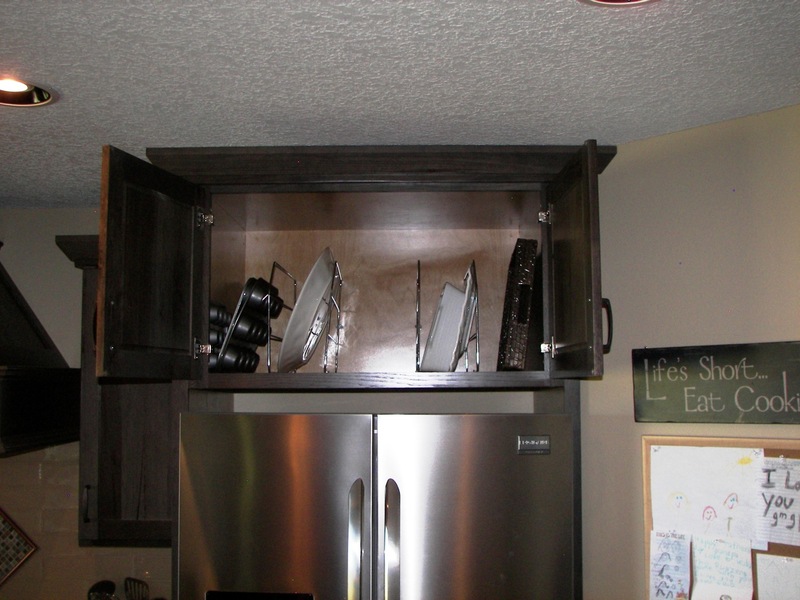 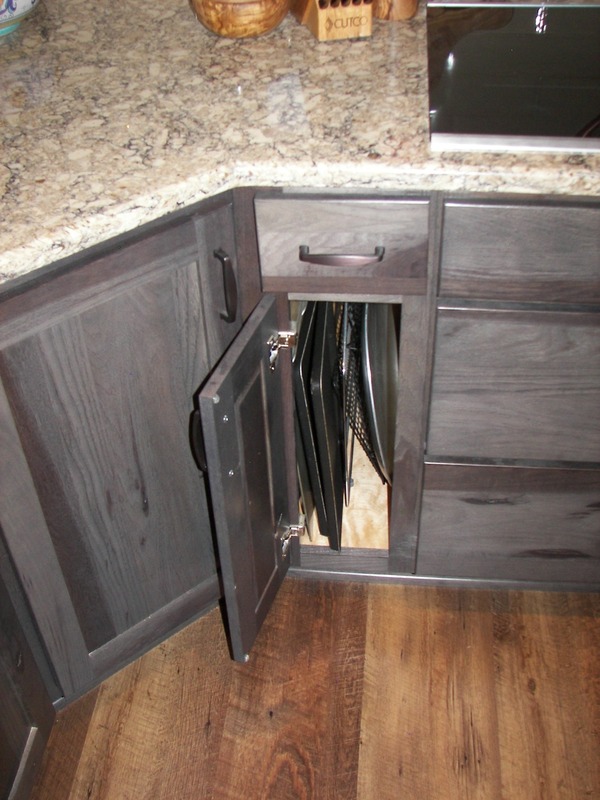 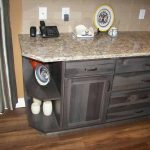 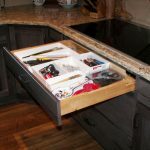 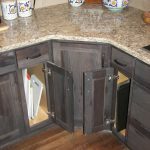 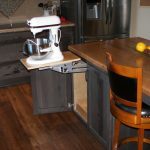 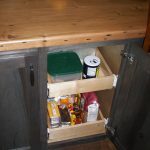 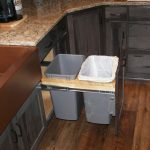 There are lots of extras in the cabinets such as, (cookie sheet dividers (base and wall), roll out drawers, A pop up mixer shelf, Glass door cabinets, 2 Bin recycle. 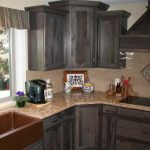 Center) The cabinets have Hardwood Dovetail drawers, Full ext. 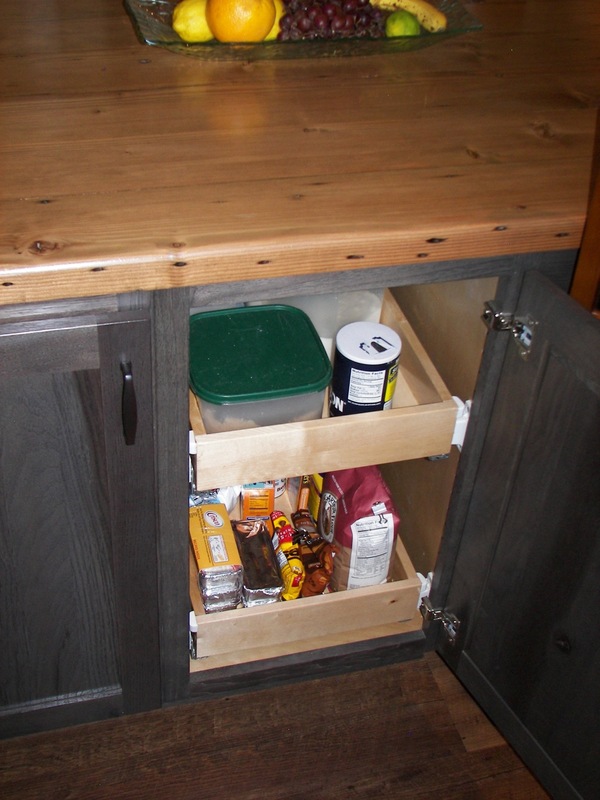 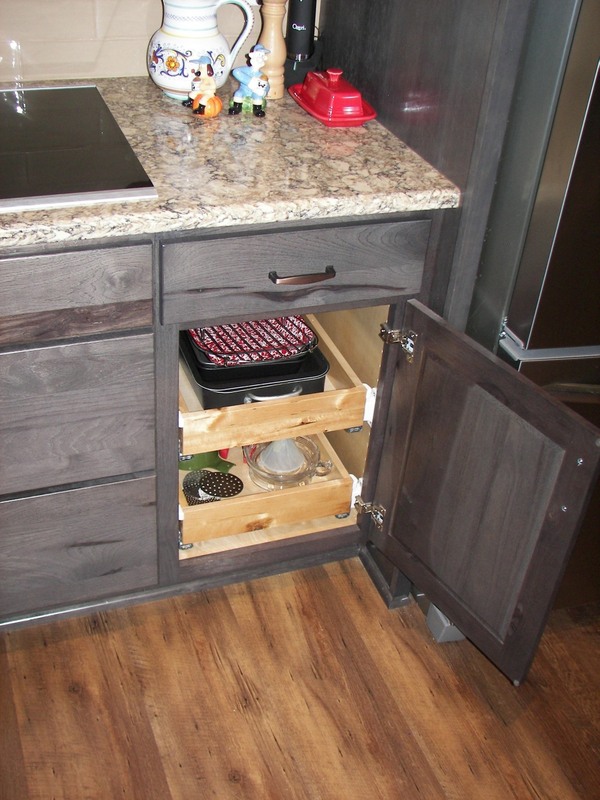 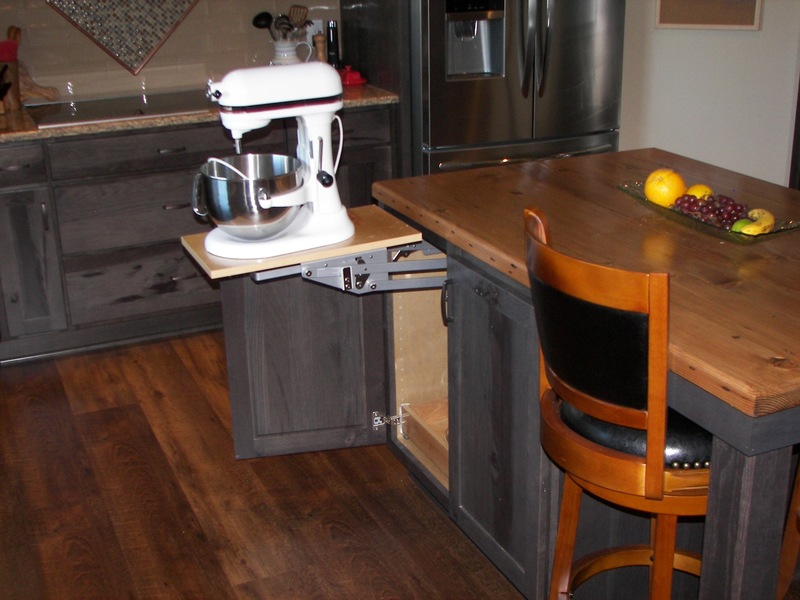 soft close drawer glides and are all natural maple plywood construction. 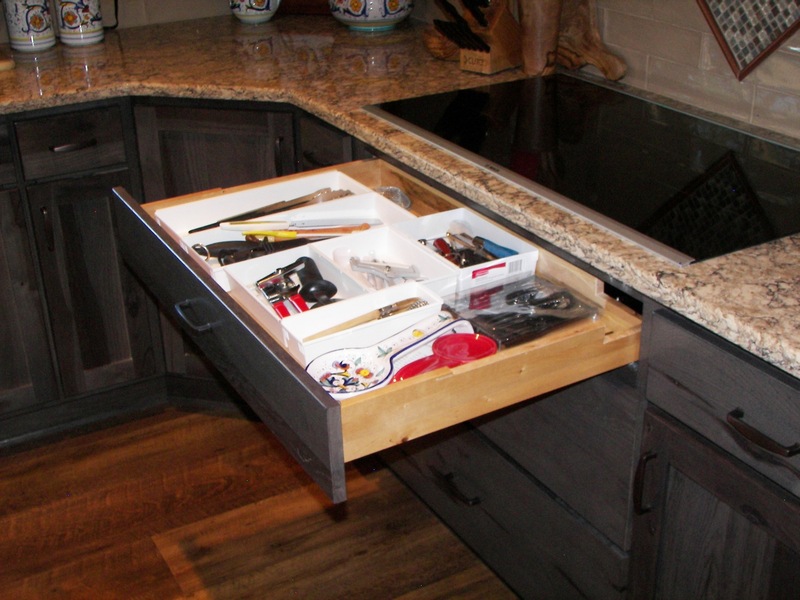 We “scooped the drawer under the cook top to get an extra drawer. 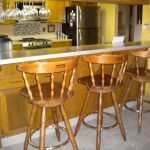 We designed the island with legs that match the cabinets.